You hardly ever meet anyone from the UK who is ambiguous about the contents of the little black jar with the yellow lid. 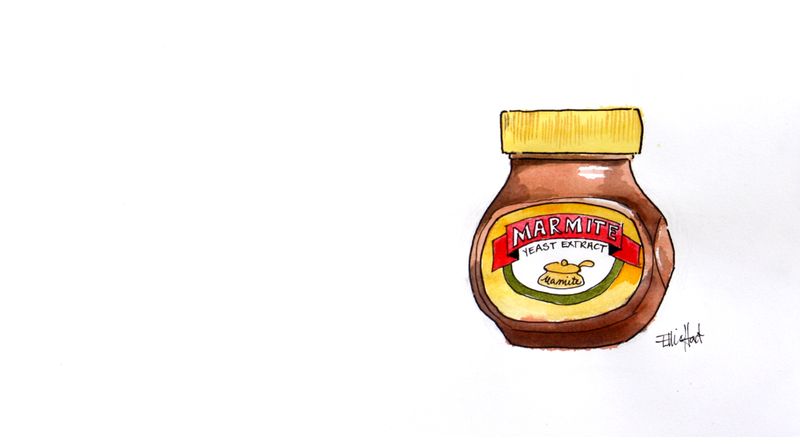 Personally – I LOVE it, but Marmite (yeast extract, for the uninitiated) is one of life’s dividers, and as they say in their ad campaign – “you either love it or you hate it”. There’s no middle ground! Funny, the things you remember. He was a good man, my Grandfather, but on this occasion, absolutely wrong. The God who gave his only son so that the world could be reconciled to himself; the God who invites me to call him Father, and calls me his child; the God who created the glorious expanse of the universe with his words, and uses that same voice to whisper his love into my ear; this God who is unknowable and yet allows himself to be known by us.. So this week my friends, when you have the choice, choose to be passionate, choose to be abandoned, choose to be all-in, choose to be wholehearted in your pursuit of our amazing God. He’s more than worth it. Great illustration! I, too, LOVE Marmite. 🙂 thx Ellie. Just last week I found myself staring at the jar of marmite in my cupboard, having a random thought wondering if God was trying to say something to me about it. After a while I gave up (thinking maybe I was losing the plot!) and just started spreading it thickly on my toast. As I love it. So thank you again for following Gods prompting, this word and picture has brought clarity to me. Thinking about this further today, I was reminded of when Jesus asked Peter, three times “Do you love me?”. It’s not good enough to say Yes, we like God, we have to Love Him with Agape love, as He loved us.